The three ads remind iPhone, iPad, and Mac users that they can easily request and send small amounts with Apple Pay Cash. Like, to fulfill urgent needs for doughnuts and salsa. Or maybe buy an ugly but cheap gift. This follows on the heels of Tuesday’s announcement that this payment system will soon be available at Target and other retailers. There’s also good news for Aussies. To be clear, Apple Pay and Apple Pay Cash are similar but slightly different. Apple Pay allows users to buy items from retailers, restaurants, etc. 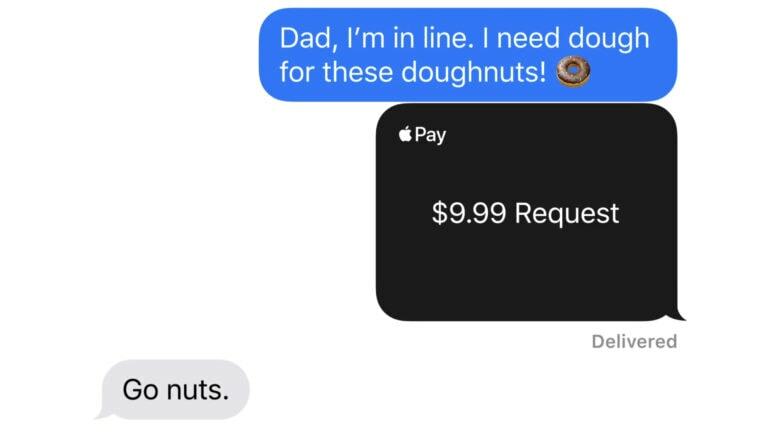 Apple Pay Cash, on the other hand, gives users a simpler way to send friends and family money without having to use third-party services like PayPal.